After six successful years of collaboration, the global Impact Hub Network and Impact Hub Los Angeles (L.A.) are now parting ways. 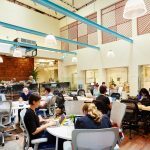 The entrepreneurial community and coworking space of Impact Hub L.A., located in Los Angeles’ Arts District embarks this month on a new era of leadership and vision. Their hyperlocal approach aligns with their longstanding commitment to civic and neighborhood progress, and will operate independently from the global network. 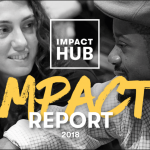 Since launching in 2005, the Impact Hub network has also undergone significant growth, now reaching over 17,000 members in 100+ locations across the globe. With this growth has also come a stronger focus on programming and trans-local collaboration: tackling the Sustainable Development Goals (SDGs) through incubation, acceleration and scaling efforts for social entrepreneurs and innovators from all sectors across North America. Impact Hub Los Angeles joined the network in 2011 and has since grown its community to almost 200 members. Throughout this time, Impact Hub L.A. has managed to build a strong local brand that resonates well with the Los Angeles community; one that nurtures the creativity of local entrepreneurs and convenes innovators around key civic issues. 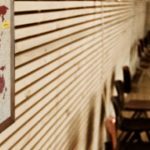 Impact Hub Los Angeles will continue to focus its efforts on serving their local community in their own new and autonomous capacity. With 15 Impact Hubs, North America remains a key region for the Impact Hub network, and many committed Impact Hub teams throughout the region are continuing to establish multi-city programs around capacity building, convening of stakeholders, entrepreneurial acceleration and scaling for impact ventures. Communities for Change, a social change program and incubator that brings together diverse stakeholders across sectors and social divides to build collaborative solutions to local challenges, is a prime example of trans-local collaboration throughout North America. This particular program ran in Impact Hub Baltimore, Impact Hub Boulder and Impact Hub Seattle along with three other cities across four continents. Next to similar programming efforts, Impact Hubs across the US & Canada are continuing to provide entrepreneurial support to local communities as part of their shared goal of building a better future for all. On behalf of the Impact Hub network, we thank Impact Hub Los Angeles and everyone who contributed to building their community. We wish the team all the very best for their future endeavors, and look forward to seeing their forthcoming progress.